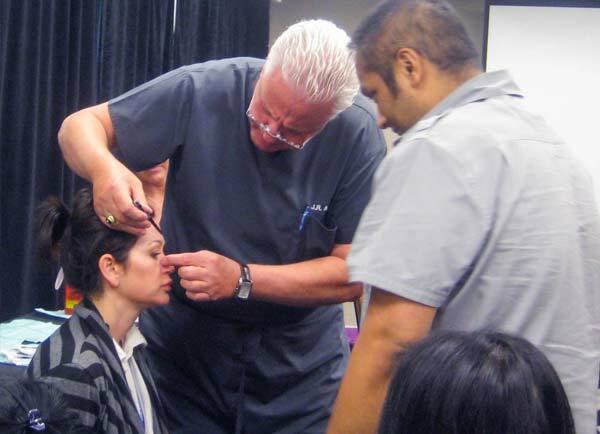 AAOPM provides the most comprehensive training in Aesthetics, Medicine, Anti Aging, Weight Management Medicine, Pain Management, and Surgery. Attendees have the option of attending a single workshop or pursuing the Board Certification pathway. Read the most common questions that are made by our physician attendees before and after the workshops. AAOPM pictures are taken at real training courses and published for your review. AAOPM publishes these pictures for prospective attendees so they have a better understanding and can make their training decision with confidence. AAOPM, Inc. and its affiliates (herein referred to as “AAOPM”) is proud to offer our unmatched NO RISK Quality and Price Guarantee. Please read this entire document, so you fully understand the initial AAOPM terms and conditions, in order to minimize any future questions or confusions. We believe AAOPM’s terms and conditions to be most fair and reasonable to our participants and we stand behind and guarantee our services, it is important for you to understand both what is and is not provided by AAOPM, to minimize the risk that you will be dissatisfied with the AAOPM training program for any reason. 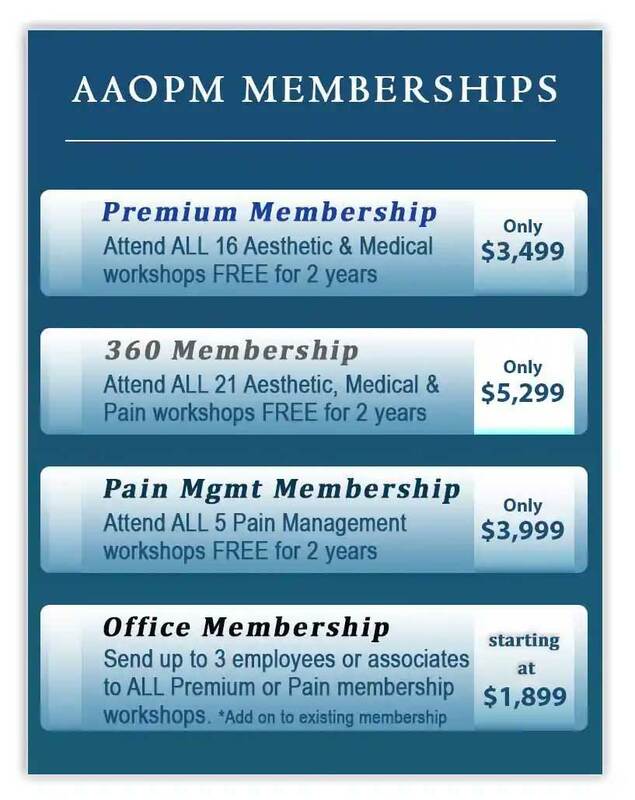 Membership Fees and Term: All AAOPM Memberships provide for a (1) Year Term. 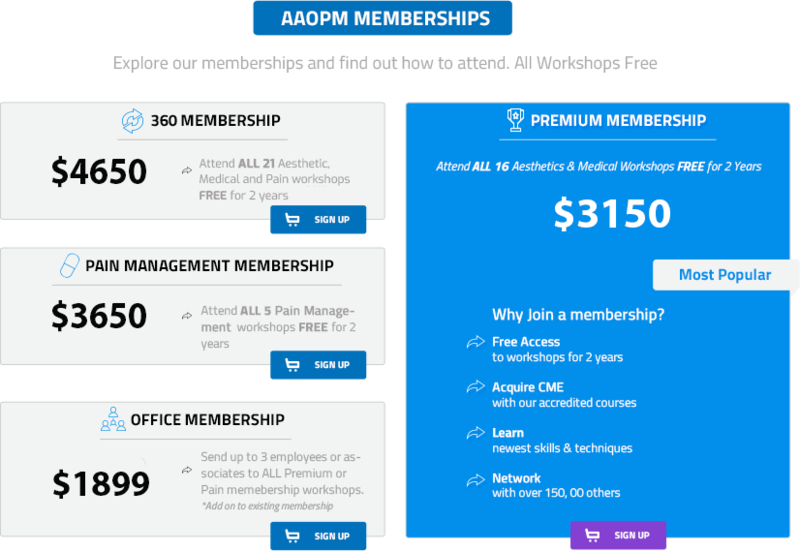 At this time AAOPM is providing an additional (1) Year membership, added on to your first year, at no additional charge. AAOPM’S BETTER-THAN “GET YOUR MONEY BACK” POLICY ALLOWS YOU TO ATTEND AAOPM’S PROGRAMS AT NO RISK. AAOPM-Wow-Price-Guarantee® provides that AAOPM will refund you back the difference between what you paid for your AAOPM training and a less expensive course. For this refund to apply, you must submit the company refund form to AAOPM within 30 days after registration. The less expensive course must have published prices, offer comparable training, and include all books, materials, certification, supplies, and medicines with their fees. Proof of this information (such as printed and/or website marketing materials of the less expensive course must be included with the company refund form. There are absolutely no refunds for any product or service unless these terms and conditions are precisely followed. As AAOPM incurs costs associated with each registration, there are NO refunds for “mind changing”, no shows, or cancellations prior to the event. We believe AAOPM’s refund and price guarantee policies to be extremely fair and eliminates your risk. However, the terms and conditions set forth above applicable to AAOPM’s refund and Price guarantee policies must be strictly followed for AAOPM to provide these no risk options for you. Industry standard is to provide no refund, period if a student is unable to attend. Typically, tuition fees may be transferred to another seminar date, or to another individual, however, no refund will be issued. Although we guarantee and believe in the quality of our services, we strongly encourage you to be certain of their decision to register prior to doing so. 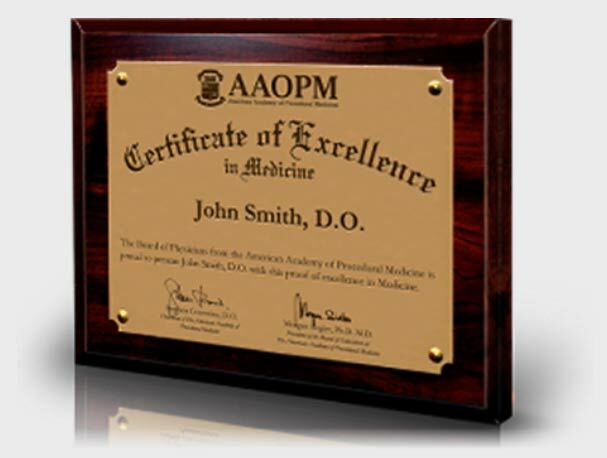 With over 100,000 physicians trained by AAOPM over the past 20 years, our objective is to continue to produce happy customers. AAOPM reserves the right to refuse registration from any individual or group for any reason, other than for reason’s based on race, religion, gender, or ethnicity. AAOPM provides a satisfaction guarantee to all attendees, however, if an individual insists upon a refund and has not utilized the pathways afforded to the attendee which have been designed to provide assistance, AAOPM, in its own discretion, may refund a portion or all monies to the attendee, and may deny registration to attend any future program, membership, educational program, or related events operated by AAOPM, or any of its affiliates or related entities within the USA or abroad. Should it be necessary for AAOPM to cancel a program, a full refund of the registration fee paid will be provided to you. However, AAOPM shall not be responsible for expenses incurred by registrants on non-refundable airline tickets, related travel costs, claims for lost wages, or hotel accommodations in the event a course is cancelled or sold out. AAOPM reserves the right to refuse registration from any attendee or remove a disruptive attendee from an event, without refund [See section on Seminar Rules and Safety]. Seminar locations, agendas, and course instructors are subject to change. The registration fee charge will appear on your credit card statement as AAOPM, Inc. By paying the registration fee to AAOPM, you agree to the terms and conditions set forth herein. Proof of Licensure. As part of the registration process, all participants are required to provide to AAOPM a copy of their professional license PRIOR TO attending your first training program. To help facilitate this, please fax (to 954-358-2860) or email to info@aaopm.com to our office a legible copy of your professional license. During check-in and registration, on the first day of the training program, participants will the need to present a copy of their professional license (in addition to personal identification, such as a driver’s license, passport, or government ID), to an AAOPM representative. These items will serve as your ticket for admission. Individuals who do not present these items at the time of registration will not be permitted to participate in the training programs and will not be entitled to receive a refund. Please be sure you to bring the necessary documentation to the training program to avoid any unnecessary delays or complications. Security Measures: All Classrooms and Registration Desks are monitored using Audio and Video Recording Equipment. These security measures are intended, in part, to monitor the hands on component of the training and to assist AAOPM personnel. Therefore, participants should have no reasonable expectation of privacy while attending an AAOPM training seminar. Participants are responsible for their personal property, with AAOPM not being responsible for any lost or stolen personal property suffered by the participant. 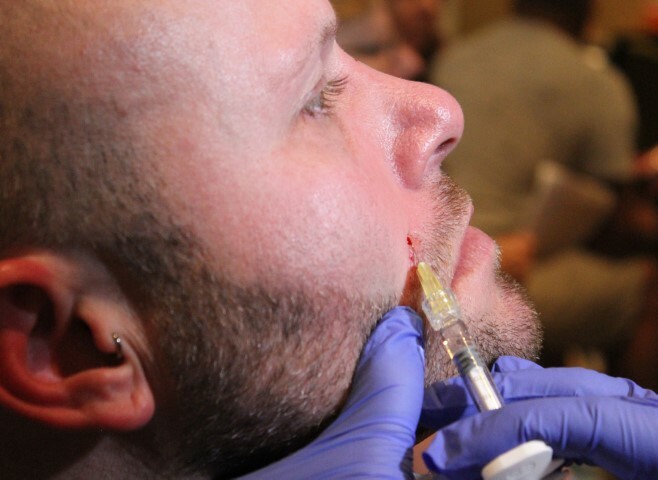 Seminar Rules and Safety: AAOPM has implemented strict rules regarding the handling of needles, sharps, biohazards, and the protocols involving various procedures. These rules will be announced prior to each hands-on training session, you are familiar with same. Additionally, you will be required to view a video presentation prior to your arrival at the seminar. Registrants may access this video after registration on the “member’s portal”. Non-members will receive a link to access the same. If a participant is acting in a manner that may cause detriment to others in attendance or is otherwise deemed to be disruptive or not following the instructors’ instructions or guidelines, the participant may be asked to leave the training program without being entitled to a refund. The designated instructor and his support team will serve as the final authority in this matter. This is a rare event! However, it is important for you to understand that our first objective is the care and safety of the AAOPM personnel and participants at our training programs. If these terms and conditions seem to you to be either unreasonable or extreme, we respectfully request that you think twice before registering for any hands on training course. We thank you in advance for your cooperation and attention to the seriousness by which AAOPM takes its training. Hands On Training: AAOPM has trained over 100,000 health care professionals, safely and effectively over the past 20 years. This is due in part to our strict guidelines and protocols regarding hands on training. By participating in an AAOPM event, you agree to follow the supervision and direction of the AAOPM Physician instructors at all times during the training. 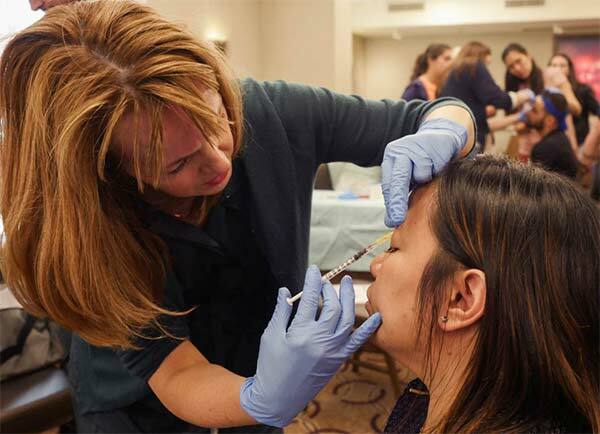 During all training programs, the AAOPM physician instructor (“Instructor”) will have the final authority as to whether an attendee may perform a procedure on a patient. Their decision will be based on many factors, including but not limited to, patient safety, participant safety, participant licensure or lack thereof, legal guidelines, and participant competence as evaluated by the Instructor. If the Instructor believes the participant has not demonstrated sufficient skills while practicing on training models (inanimate), the instructor will offer additional training to the participant, AT NO ADDITIONAL CHARGE TO THE PARTICIPANT*. The additional training may be in the form of a repeat seminar OR a One on One preceptorship with an Instructor at AAOPM’s Centers of Excellence. This latter option is an integral part of AAOPM’s Wow Refund Policy. *Reduced fee applies to Thread Lift Training (speak with an AAOPM representative for details). Seminars/Membership Terms & Conditions: AAOPM memberships cannot be transferred to other individuals during the term of the membership. This includes Diamond, Platinum, and Office Memberships. Office Memberships cannot be transferred after completion and attendance by individuals to any one program. Any request for changes to the various memberships would need to be made prior to members’ first attendance at an AAOPM program and is at the sole discretion of AAOPM. Video and Photography during all Events: All training programs are photographed and recorded for various reasons including, but not limited to, providing educational videos to participants, for video testimonials, for marketing purposes, and for business purposes related to education. All participants, guests, exhibitors, and visitors to the training programs understand that they may be photographed or videotaped for broadcast or exhibition in any medium, and that AAOPM may use the edited or finished product for any legitimate use. Upon entering such AAOPM training programs, you give AAOPM the unqualified right to take and use such pictures and/or recordings as well as giving AAOPM the perpetual right to use your likeness, image or photograph (collectively herein referred to as “photo”) without compensation or payment or any type. You agree to waive and forever release and discharge AAOPM from and against any and all claims or actions arising from the use of your photo. Important Disclaimer: Enrollment in a training program does not guarantee that the enrolled licensed healthcare professional is competent to perform a procedure and the participant will hold AAOPM and affiliated entities, together with their respective shareholders, members, directors, managers, officers, employees, agents and affiliates (collectively, “Indemnities”) harmless from any losses, liabilities, negative results or outcomes whatsoever that a patient may suffer from an attendee’s action or procedure. Furthermore, it is the responsibility of the licensed healthcare professional to understand and adhere to all the laws and guidelines of the state in which they practice medicine or otherwise perform healthcare services. Indemnitees may not in any way be blamed or held liable for violations committed by an attendee. Attendees must also understand the scope of what their professional license allows or disallows in regards to the newly learned procedure. AAOPM-Wow-Refund-Guarantee® and all trademarks, whether expressly written or implied, are strictly protected by copyright and trademark laws. Call today to find out how to get your Certification Plaque Free. AAOPM is proud to offer certification courses for physicians and nurses in New York, Las Vegas, Orlando, Chicago, Atlanta, Nashville, Los Angeles, Dallas, Detroit, Houston, Fort Lauderdale, Sam Francisco and many other cities. Duplicating, using or copying any portion of this website will subject the offender to significant statutory damages and attorney fees regardless of any citation or attribution of this work. Copyright 2019 by American Academy of Procedural Medicine | Website designed by Rx Medical Web.